How to guarantee the safety of your children online? But there is also a dark side where music and video content can shock, adult websites cause curiosity, and social networks will easily cause psychological trauma due to bullying and harassments. Lots of examples you can find. Oxford University interviewed several hundred children and their parents not so long ago. The results showed that 15% had a negative experience of using the Internet, including 8% of children who had online contacts with strangers and 2% of shocking sexual content. Summarizing what has been said, we are talking about strikes on the emerging child personality, and every 1 of 7 is faced with real problems. And this concerns the designated data only. In reality, the percentage is even higher. At the same time, parents do not know how to protect them from the bad impact of the Internet, without completely prohibiting it. 9 out of 10 respondents did not know about the existence of various content filters and monitoring tools This is better to learn more quickly and begin to use in practice. But also don’t forget just to talk with children to instill understanding of such things. You should begin to take the situation under control precisely from contact with children, and not to monitor the activities at first. Unlike you, your children were born after the invention of the Internet and they can’t imagine life without it. Today, the computer, mobile devices and the Internet serve them as learning aids, even reading and writing. And they use the touch screen and mouse to develop motor skills even earlier. Nothing can be done about this, the world is changing. This means that it is necessary to start hygiene measures from the very childhood, when children are particularly active in exploring Internet. What can be done to discipline the child at the household level and prevent uncontrolled absorption by the Internet? 1. Talk about the dangers, explain without threats. Talk about how to interact with the Internet well and correctly, and what they can’t do here. Give them useful examples. 2. Do not allow in the early stages of life to use the computer and gadgets in the children’s room. They may do this only under your supervision in the common areas of the house. It is easier to limit the time of use too. 3. Let the children speak for themselves when they find something unacceptable. Encourage them for such actions and do not scold. Thus, you will not need direct prohibitions. Be sure to ask for information about messages from strangers. 4. Set rules that children cannot upload or transfer data without your acceptation. Main fields of danger in Internet Let’s see where children often face such problems. Today, the issues of child protection on the Internet are raised more often in the context of social networks, but security experts are sounding alarm about online games. Parents, you can’t forget about this part of online life! The main problem here is the freedom of contact with strangers, and in this area many pretend not to be whom they really are. Children also admit that they easily trust their game partners and do not see anything reprehensible in contact offline. Their parents, in turn, confirm that they mostly even don’t know that children chat with total strangers. From the outside, everything looks as if it should be so. Try to keep the game under supervision and make explanatory work on the risks of trusting strangers. No matter how widely this particular niche is widely spread, it requires your mention. Social networks (Facebook, Snapchat, Instagram) is a hotbed of intolerance and disrespect. They also contain a lot of unacceptable content. Your child may suffer from insults from the outside and accidental shocking information. The administration of all resources seeks to suppress manually and automatically precedents, but it does not always turn out. At some point you cannot forbid the child to use social networks. And be prepared that he will not tell you everything that he does there. Therefore, the best way is to install spyware remote monitoring of its activity. This also applies to messengers. The biggest video file hosting, where kids can find in free access not some adult stuff, but songs with offensive lyrics or real examples of cruelty. An effective way to protect is the content sorting tool built right on the site. He will not show your children harmful things, because he constantly catalogs dangerous files. But mistakes can happen, also learn the site with the children together. 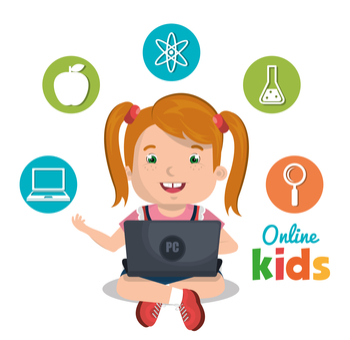 No matter how effective conversations and individual spyware for certain data sources are, let’s take a look at the global software tools that will help organize your day-to- day protection of the child’s information space. Windows 10 has changed not only externally, but in the context of the approach to protecting children according to earlier versions. First of all, you can create “child account” for child use cases. Your full access will be protected with a password, and the child will receive limited options after turning it on. The data of each user is collected in a separate center. So you see the time and ways of PC’s use. To prevent uncontrolled purchases of games, applications and other content, you can install “credit.” That means you’ll add some funds that kid can spend online for everything he wants. Binding a computer to a child account allows you to use a means of limiting the time of the child’s presence behind the PC. It’s simple: you choose the number of hours per day when the computer will work for the child. You can also specify the exact time of use (for example, from 6 to 9 pm). To control the child’s presence on the Internet, you can create the list of available sites. Other addresses will not work for your kid. Also, an additional content filtering tool is built into the operating system. It should be used in parallel with similar web-tools. You can install multiple security extensions for the browser or support software directly to the PC. But you can configure the general protection through the router. This is a box with bulbs that distributes the Internet in your home or, in other words, serves as an Internet access point for all devices in your home. That is, you can take software that will simply filter all the content passing through it. Also you can find more flexible stuff like Sky Broadband Shield. Here you can set time limit of filtering, and all devices in the house will work fine after you send the children, for example, to sleep. But remember that this is only for your home network. 3G and 4G networks on mobile devices do not fall under restrictions, as well as any other Wi-Fi networks without a password, which your children can accidentally find and connect at home. You need to focus on children PC and phones only, if “hammer blow” on the home Internet as a router setup looks wild for you. The idea is to create profiles with limited access on a computer and a tablet (for example, in Chrome and Android). Children simply will not be able to buy applications or visit specific sites without the knowledge of the administrator (it’s you). But these hardware parental controls through browsers and operating systems have their own holes, due to which the child can find a way to do whatever he wants. Let’s discuss the issue of Apple products separately. We will work with the child’s device directly. Go to “Settings” – “Restrictions”. Enable restrictions there, then set the password (and you child will not be able to change the situation). Choose the restrictions you need and keep the situation under control in the future. Being a parent on the Internet is difficult. None of the described features gives 100% guarantee of child protection, but a set of activities can help you for real. Use several technical ways of protection at once and they will give a cumulative effect. Make your choice according to the individual situation. The main tool is communication and upbringing. You must be involved in the child’s personal space without unnecessary pressure, and you will be able to secure kid effectively. © 2012-2018 top10spyapps.com » Posts » Blog » How to guarantee the safety of your children online: what to look for?